The Cordless VisionScope 2 is the newest addition to Ken-a-vision's stereo / dissecting microscope line. It offers a built-in carrying handle, a wide and sturdy base, and an easily adjustable rack-and-pinion focusing system. 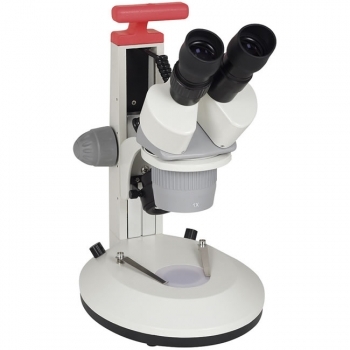 This microscope delivers robust functionality in a sleek design and is ideal for use in the classroom or in the field. Click the button below to add the Ken-a-vision VisionScope 2 Cordless Stereo Microscope with 10x Eyepieces to your wish list.